Cradle cap is a skin rash affecting more than 70% of newborn babies. 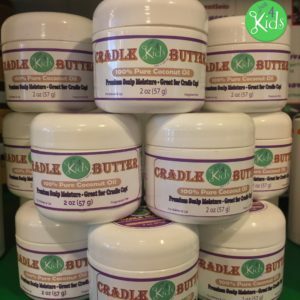 Just 4 Kids Cradle Butter is a 100% pure coconut oil product, used as a cradle cap treatment. It gently and effectively treats your babies scalp. Try it today, to treat cradle cap, post Mundan Ceremonies, psoriasis, seborrheic dermatitis and Eczema! 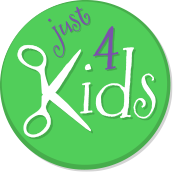 At Just 4 Kids Salon, selling all natural and organic kids hair gel and other products is important to us. 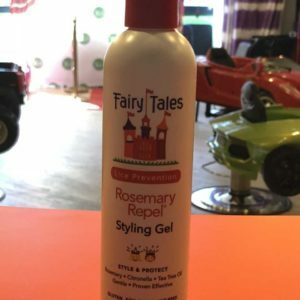 Fairy Tales brand Rosemary Repel Lice Prevention kids hair gel is the number one choice, most recommended by pediatricians, school nurses and moms since 1999! Our kids hair gel is clinically proven to help prevent head lice with organic herbs and natural plant extracts. 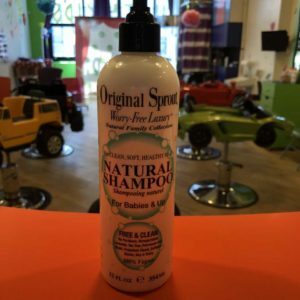 Just 4 Kids Salon prides ourselves on providing safe and effective kids shampoo and other all natural and organic kids hair products. Original Sprout Natural Kids Shampoo results in one thing - clean, soft and healthy hair for your child! Further, it is fee and clean! That means no parabens, nanoparticles or petroleum oils! Also, Original Sprout products are free of musk, propylene glocol, sulfates, gluten and dairy! Our kids shampoo smells great, and it will leave your child's hair looking and feeling healthy and awesome! Finally - try it today! At Just 4 Kids Salon, we believe that learning through play is a vital role in a child's early development. Choose affordable and educational kids toys like Water Wow by Melissa & Doug! Help them gain their identity and find their passions in life! What are you waiting for? Buy here today!